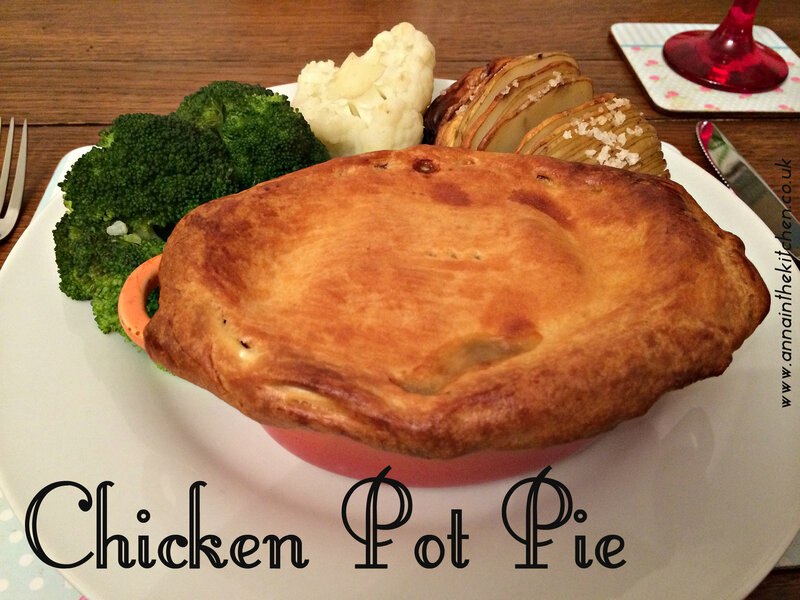 There is something innately comforting about a simple chicken pot pie. The combination of simple ingredients adds up to make a dish that just hits all my comfort spots! Flaky pastry, creamy filling (without any actual cream!) chicken and vegetables, it’s pure comfort in a dish and the perfect way to warm up at this time of year. The great thing about these individual pies is that I can make up a batch of 4 and then freeze 3 of them, leaving me with an easy dish to grab and shove in the oven on days when I need something quick, tasty and nutritious! It’s always a great feeling knowing I have some of these stashed away in the freezer, and they’re equally good for whipping out for an unexpected dinner guest! – Heat a little oil in a large, deep frying pan. – Add the chicken, onion, carrot and celery and cook, stirring occasionally, until the chicken is just catching colour. – Dissolve your stock cube in the boiling water and set aside. – In a small saucepan melt the butter then add the corn flour and stir together to make roux. – Add the hot chicken stock and keep stirring until it thickens. – Add the peas to your large frying pan. – Pour over the thickened stock. – Season to your taste. – Allow to cook for a further 5 minutes. Check you are happy with the seasoning. – Roll out the pastry on a floured worksurface to about 5mm thick. 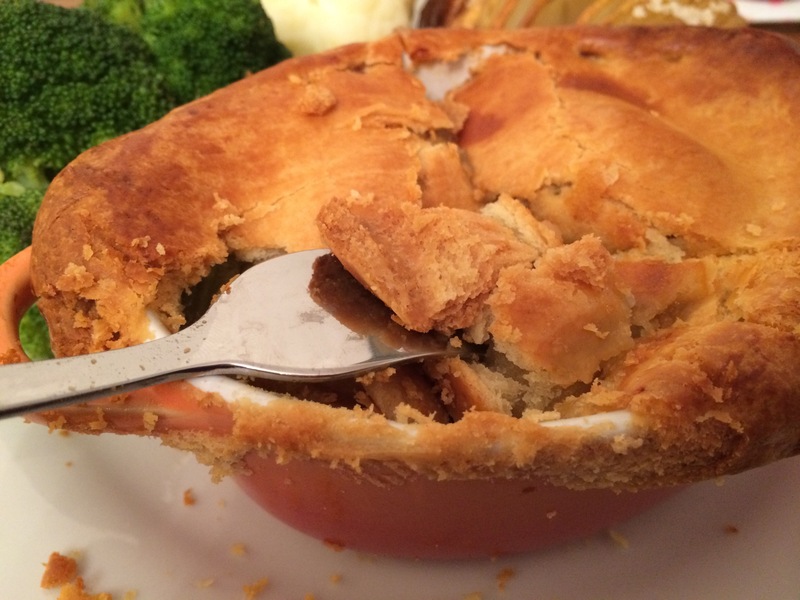 – Cut around at least 1cm larger than your chosen pie dish. – Divide the mixture equally between your pie dishes. – Use a pastry brush (silicone, always silicone!) to brush the edge of your pie dish with milk. – Place the pastry top gently over the pie dish and press evenly to seal. – At this point you can wrap in cling film and freeze any pies you don’t want right away. – When you are ready to cook them brush the top with milk and cook in the oven for 30 minutes at gas mark 6/200C.